We propose a method for classifying queries whose frequency spikes in a search engine into their topical categories such as celebrities and sports. Unlike previous methods using Web search results and query logs that take a certain period of time to follow spiking queries, we exploit Twitter to timely classify spiking queries by focusing on its massive amount of super-fresh content. 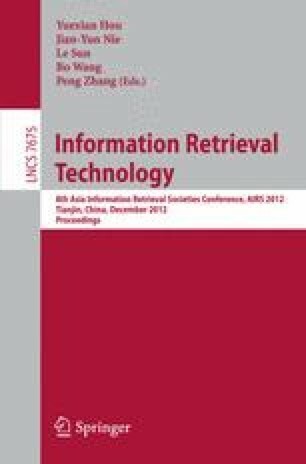 The proposed method leverages unique information in Twitter—not only tweets but also users and hashtags. We integrate such heterogeneous information in a graph and classify queries using a graph-based semi-supervised classification method. We design an experiment to replicate a situation when queries spike. The results indicate that the proposed method functions effectively and also demonstrate that accuracy improves by combining the heterogeneous information in Twitter.